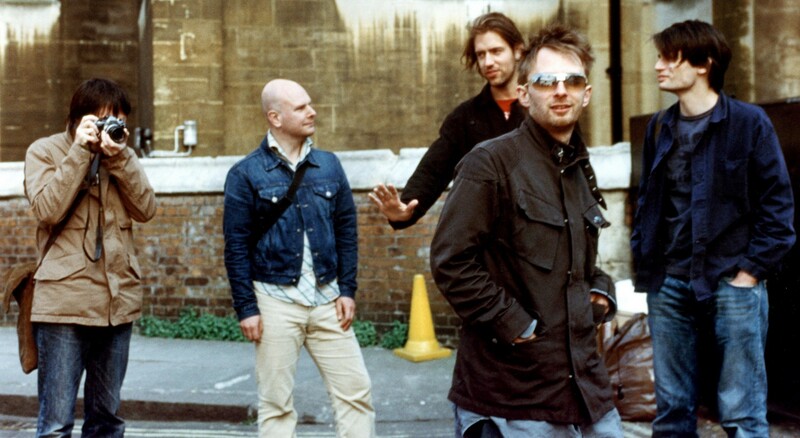 radiohead. . HD Wallpaper and background images in the Radiohead club tagged: radiohead thom yorke ed o'brien jonny greenwood phil selway colin greenwood. This Radiohead photo might contain business suit, kalye, lungsod tanawin, and urban na setting.